We had a group of 32 staying here to celebrate our wedding in Phuket. It was nothing short of amazing!!! The villa is incredible, very spacious and extremely clean. The staff were very attentive, we hopefully made friends with all the staff, a big thank you to Stefan and Sa especially as you two both made our stay memorable. Stefan and I arranged fire dancers which were amazing in front of the pool, Stefan couldn’t do enough for our group. We were very well looked after and the food was amazing. We had a few children as well and they were kept well entertained with the games room. The overall stay was an unforgettable experience and this was due to all Baan Sung Thai villa. It would be wonderful to visit again, I highly recommend this villa for your stay whether your group is small or large, Stefan and staff caters for all. Kindest Regards. Loan. We stayed at Baan Sung Thai Villa in November 2017. We were a group of 12, in 4 different family groups. The Villa has ample space to allow for privacy as well as wonderful leisure spaces for the group to play, eat and socialise together. All the rooms are clean and welcoming and everything you need is included. The pool area was a particular favourite! The staff were fantastic and very accommodating! We also hosted a bbq for a big group of about 35 people, which the villa staff catered for. The food and atmosphere was amazing and all our guest commented on how fabulous everything was. Stefan was also great coming in to check on us and ensure that everything was going well. Highly recommend a stay here if you’re travelling to Phuket as a group - I️ know that we’ll definitely be back! Thank you to Stefan, Sa and the team for everything. We are a big family of close of 30 people spreading around the world. I came from HK and my other families came from the USA, Canada, HK and Macau. We had a family gathering and there are a total of 8 families and the kids range from 2-24! Thanks to Bann Sung Thai Villa, its owner Stefan and the staff there, we have a very enjoyable stay for our trip in Phuket. The food there was good, the rooms very spacious, the pools marvellous and the kids could play there whole day while the adults chat, do massage, take photos or stroll down to the beach. The villa was located on the hillside where it was quiet, but the 2 villa vans make it convenient for us to get around. We went to James Bond Island and Phang Nga Bay. We do family kayaks, jet ski and parachuting. We had lunch at the floating Koh Panyi village and all these were done under the recommendation of the villa. The villa van also brought us to play GoKart, the Tiger Jungle, ATV and archery. Last but not the least, we went to the Patong Beach, Jungceylon, the Central and the old market for shopping and food! It was fun. The seafood in Phuket was great and the fruit there was just irresistible! We would highly recommend the villa to our friends who come for family gatherings or big group of friends and families who went on holidays together as a group. Its much much better than getting 8-12 hotel rooms. The villa gives you the privacy of being all by yourself in a place without having to worry about security for the kids and the freedom to talk through the night and still have home convenience. The staff there were very very friendly. They answer to your calls immediately and were impressively polite. A group of us came in at 3:00a.m. in the morning and they were there to greet you with a smile. We have been to a lot of airbnb, but this one is different. It not just provides a house for you, it makes you feel home, relaxed and pleasureable. That’s how a holiday should be. Our group have taken over 1000 photos with the adults and kids playing, swimming, eating and chatting in the villa. The charges are very reasonable and everything is listed. We recommend that you should go and feel it yourself. This villa is amazing! We stayed here as guests to a wedding party and couldn't fault anything! Sa and her team are fantastic and couldn't do enough for us! The room's were great and the staff were just like ninja's we would go for breakfast and come back to our room and it would be cleaned and tidied! This place has everything and the hosts and staff were amazing. We will definitely be coming back next year. This villa was amazing. We came here as part of a group of 15 for a bootcamp course and there was plenty of space for all of us over the 3 levels in the villa. The host Stefan was very friendly and accommodating and his staff were always happy and ready to help. Our room was spacious and very comfortable and the food was good. They helped arrange transport too. Can't recommend this place highly enough. Thank you! The owner of this property has created an environment which makes staying in this home a truly wonderful, memorable experience. The home itself is large and lovely, with open air decks, high ceilings, spacious pool, and nice views. The owners choice of artwork, sound and lighting systems, game and spa rooms, all make staying at home fun!! fun!! fun!!! He has chosen the very best individuals for his staff, all of whom made us feel welcome . They maintained the home in perfect condition throughout our stay, and were very accommodating. And as if that were not enough, let me say that the chef in this home rivals the best chefs in gourmet restaurants. She prepared five and six course dinners which we still talk and think about. The food was amazing, and the presentation was beautiful. Prior to our arrival at the home, we had planned dinners at a number of the great restaurants in the area, but one dinner at home demonstrated to us that for the best ambience, food and fun, staying home was the place to be. Days spent were terrific as well. We took advantage of the Villas transport. The driver, along with additional staff insight, helped us find off the grid , restaurants, boating, cave & island tours & local spots which will be remembered by my family forever. Our sincerest appreciation to Stephan and his staff. Came here with a group of 15 adults and 6 kids aged 1 to 11, and everyone had a wonderful time. 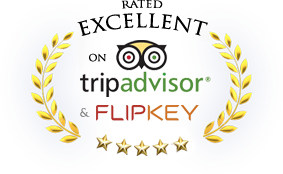 The food was excellent, the staff were extremely helpful and welcoming and the rooms were very comfortable. Sa and her team were great! Great place for a group of people, we had kids from 10 years to 18 years, defiantly worth staying there, 5 couples stayed there and plenty of room for all. We stayed here for 4 nights with a group of about 10 friends. During our stay, we held our wedding at the villa. We had about 25 guests at the wedding and this was the perfect size venue. The staff there put together a stunning set up for both the ceremony and the delicious dinner. The villa was well decorated and also a great backdrop for our wedding photos. This was the perfect, stress-free wedding for us! We are so thankful for the staff who went above and beyond for us! As for the stay, we all had a great time! We had plenty of space and all of the rooms were great. The pool area got a lot of use and was a just one of the few 'hang out' spots in the villa. Some of our family members stayed in the apartments on the same property which was great - we really enjoyed having our own space but having them near by. The shuttle service was convenient for big groups and they had scooters for rent as well. Our breakfast was wonderful - lots of options- and it was always nice to talk to the staff in the morning. They helped us to make plans for the day and gave us advice what to do around town. They even booked a fishing trip for us! Amazing staff and great value for money. Food was a highlight, wifi not too reliable but can't really fault anything else with with the property. The location though is not very close to anything, and the villa is on a very steep plot of land so lots of internal stairs. Would highly recommend for large groups that are looking to chill together. The villa itself and the staff / management were exactly as we'd hoped. We were a large group of friends traveling with lots of children for a much looked forward to group holiday. The villa and its amenities were exactly as described and the service great. The price was also excellent.....really happy with the villa and the week that we spent there. We were two familes with children staying at Baan Sung Thai for 10 nights. The owner Stefan was very responsive and helpful regarding booking and enquiries. The villa definitely fulfilled our expectations, and enjoyed a fantastic stay with lots of sun, swimming, relaxing, and good food. The property is large, and we very much enjoyed the space we had available. Everything is nice and clean, well built and decorated. The master bedroom is magnificent, and the other bedrooms worked well for our group. We enjoyed the pool terrace and the children loved to swim, read, and play in the lounge area. We did several excursions during the days, but always looked forward to come back to the villa for some relaxing pool time and drinks. Stefan has recruited a great staff led by Sa as the manager. They are helpful, friendly, and always arranged any requested services. The breakfast was nice to eat next to the open kitchen with wide variety of choices, and any special food requests were easily arranged. We also had dinner on most evenings in the villa - both because the views were great and we enjoyed to stay in the villa in the evenings - but especially because the food that was prepared was excellent. The quality was significantly better than at most restaurants, at good value, and we could freely select from a large variety of dishes that fulfilled the desires of both adults and children. The spring rolls (both fresh and fried), tempura shrimps, pomelo salad, and tom ga kai soup were our definite favorites. The property is located a shorter distance from the beach and the Kamala village, but we did not consider this to be any drawback. On the contrary, the solitude of the villa was relaxing, and we made daily trips to other beaches and explored the coast both north and south of Kamala. The manager Sa always arranged transportation when required, so all logistics worked very well. The driveway up to the villa is indeed very steep, but we used it for morning excercise running so it turned out very positive 🙂 Overall, we were really happy and satisfied with our stay at Baan Sung Thai. Stefan is working very hard to make it a top-end facility, and is attentive to make his guests enjoy their time there. The continued development of the property with the planned roof-top terrace and planned jacuzzi will notch up this place to become even more exclusive. I also have to mention that we had the chance to see the other villa managed by Stefan and his partner Magnus - Bann Chang Thai. A larger property with a different style from Baqan Sung Thai, but also a fantastic place to spend your vacation on. 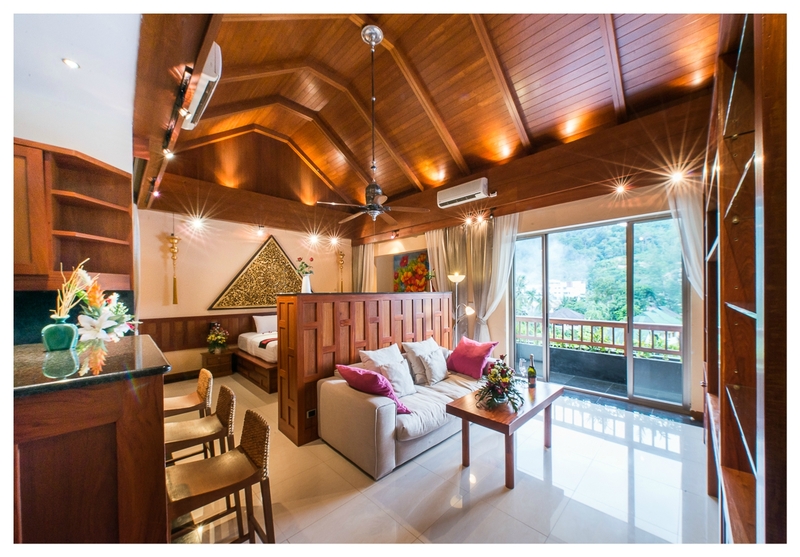 We definitly recommend to stay in one of these villas with a group of 10+ people when in Phuket. It is really nice high-end living! Just back from 4 days in Baan Sung and enjoyed every minute of it. 15 of us stayed in the villa, spread out over the whole villa and an adjoining apartment. The villa is extremely spacious and could easily have accommodated a further 10 people. It is tastefully decorated and furnished, with top notch bathrooms/showers. We spent most of our time in the upstairs pool area, which had a huge dining table, comfortable sofas and a bar/kitchen area. Food was amazing, so we never wanted to go into town to eat. Breakfast omelettes with a hint of chili, yummy Tom Yum and a host of fantastic Thai dishes. There is a menu provided, however the better option is to ask the staff to select the dishes for you. As for the staff, they were warm, friendly, efficient and accommodating. Greg, the Assistant Manager was there to greet us and explain how things worked, popping by a couple of times to see how we were doing - and then left us alone which was much appreciated 🙂 Improvements? The swimming pool was a little small for the number of people, and we were too lazy to go downstairs where the apartment had a bigger pool 🙂 There are a lot of steps to negotiate as the villa and apartments are on 4 different levels. So, if you fancy a place to chill with a group of friends or family in Phuket, this is a great place to go. Lovely villa situated about five minutes away from Kamala beach. Run by Stefan Andersson and his very service minded team. A very steep driveway leads up to the villa. We stayed at the lower floor of the main house which is a sou-terrain villa. The rooms were great. The whole villa has just been refurbished to a very high standard. The best place to hang out is the splendid top floor with pool table, small bar, pool and dining possibilities, all with a very nice view down towards Kamala beach including a glimpse of the sea. The food was delicious. We used the villas transfer services to great extent and were happy with this service as well. Only one point of complaint: the WiFi-coverage was sketchy on the lower floors of the house, but according to Stefan this was something that was about to be fixed by upgrading in the very near future. I stayed at the villa with my boyfriend and his whole family and all their partners. My boyfriend and I live in Thailand but his family came over from Australia as a surprise birthday present. The manager Stefan was so great in helping organise everything and gave us a great deal because we were a smaller group. In total there was only 12 of us so we didn't even need the bottom floor of the villa which has another 3 bedrooms. The villa was perfect for our group and had everything we needed. My boyfriend's parents got the master bedroom which was huge and even had its own steam room and walk in closet. Whenever we were at the villa and not out and about we spent most of our time on the pool terrace upstairs. The pool terrace is really spacious and has a large lounge area with flat screen TV as well as sunbeds, tables and chairs and it's own private bar (that we definitely took advantage of). One of the best things about this villa is the staff and the amazing food they prepared for us. Breakfast was great with a huge selection of bacon, eggs, pancakes, toast, fruit, cereal and juices. Dinner was even better with the authentic Thai buffet they did with the lovely table settings. If I was to list any negatives it would be that the driveway is extremely steep but once you're inside the villa you've already forgotten about that. I will definitely be recommending this to all of my friends and I hope to come back soon. Thanks to Stefan and all the staff at Baan Súng Thai Villa for making this an unforgettable holiday! We had stayed at Bann Chang Thai villa earlier, but this year we booked the house too late, so it was fully booked. The manager then suggested his other villa: Baan Sung Thai Villa, which we are very happy for. We stayed in the Master Bedroom, which was a very impressive room with steam sauna, big bathtub nice Walking closet , and even a kitchen. We were 2 adults and 2 kids staying in the room, it was very convenient to have a kitchen to heat baby food and make hot milk for the baby in the night. We also enjoyed the steam sauna (I know it sounds funny in a hot country as Thailand...) Totally we were 12 adults and 6 kids staying in the villa and we all enjoyed the villa very much. It is a big villa with big "social" areas where the kids could run around. We also had tournaments in pool, table tennis and dart, appreciated among both kids and adults. We had many of our meals in the villa, since the food was better than many places in Phuket could offer and the staff is just as charming as in Bann Chang Thai Villa. When the kids were finished with the dinner they could also go for a swim or go and play, which is a big advantage with having dinner at the villa. The view in the evenings was very beautiful from the pool terrace and we got to experience 3 nice fireworks during our 7 day long stay. All areas were not ready in the villa, which we were informed about before we booked our stay, and when they are finished the villa will be even nicer than during our stay. A big thank you to the Bann Sung Thai Villa for a wonderful vacation.